Happy Easter to all our clients from everyone here at The Beauty Rooms. Pleae be aware that in addition to our normal closing times, the salon will also be closed on Monday 22nd before returning to normal on Tuesday. Why not try our new product Polygel !? Ask in salon for details. Not an acrylic, not a hard gel, Gelish® PolyGel® combines the best of both in a revolutionary all-in-one system that’s undeniably better! 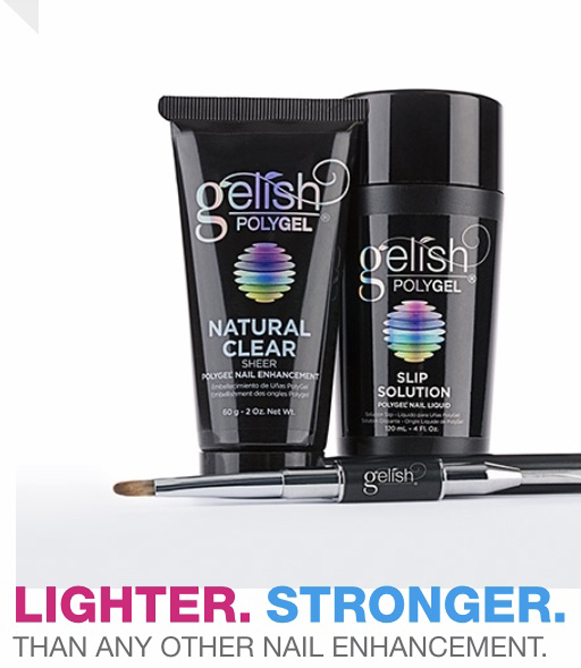 Years in development and extensively salon tested; users agree that Gelish® PolyGel® delivers strong, flexible, feather light nails, that is odourless and with no airborne dust. To find out more about our new one-step-gel manicure click here. Keep up to date with the latest news from our beauty salon. This section will be updated regularly with various offers we currently have on our beauty treatments, as well as the latest news in general.